Root was the ringleader behind the domestic underground lab (UGL) that was the centerpiece of the DEA’s Operation Cyber Juice. Operation Cyber Juice was the government’s largest coordinated and dedicated law enforcement action to counter the illicit market of performance-enhancing drugs (PEDs) since Operation Gear Grinder and Operation Raw Deal in 2005 and 2007, respectively. Root pleaded guilty to conspiracy to possess with intent to distribute anabolic steroids and commit international money laundering between January 2011 and September 2015. By the time he made his audition presentation to “shark” investors on ABC’s business reality television show “Shark Tank” in the first half of 2015, the DEA “sharks” were already circling Root in a frenzy. The seventh season of Shark Tank premiered on September 25, 2015. But Root was probably too preoccupied with other matters to care. Just two days earlier, the DEA raided his house, dismantled his clandestine steroid lab operation, arrested his employees (co-conspirators) and threw him in jail. The supplement business that Root presented to “shark” investors was called Mycustomprotein.com and it had a total sales amount of $1000 in the month after it was launched in early spring 2015. 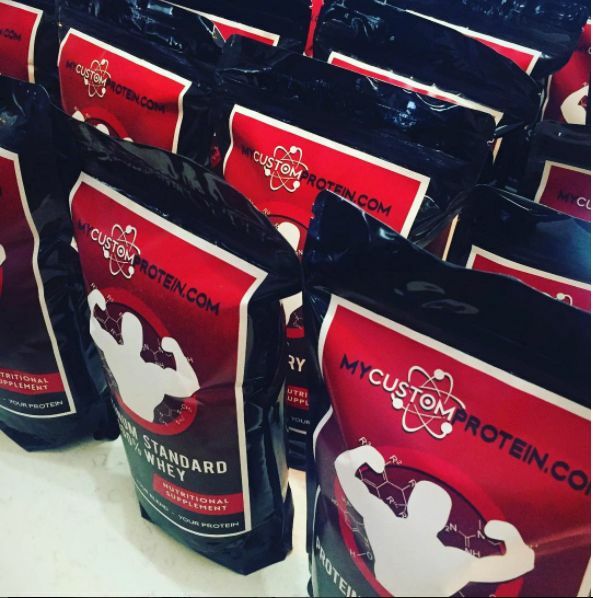 Mycustomprotein.com was one of 40,000 business ideas that were rejected by Shark Tank. Only 104 entrepreneurs actually appeared on Shark Tank. But Forbes Magazine identified Root as one of the eighteen most promising entrepreneurs rejected by Shark Tank. DEA Special Agent in Charge James J. Hunt could not have cared less about custom protein powder blend. He was more interested in the large quantities of raw steroid powder that Root’s steroid organization was importing from China and the $2,500,000 in steroid sales generated by the promising entrepreneur’s illegal enterprise. Root had nine employees working for him in his steroid UGL business and he ran it with an iron fist. Root kept the lion’s share of profits while maximizing employee productivity and efficiency. For example, Root paid his “chemist” Caleb Doane only $2 for every vial produced; he paid supervisor and manager Richard Progovitz a total of $20,000; he paid “receiver” Jeremiah O’Brien a fee of $50-$100 for every parcel of steroid powder that he received from China for a total of less than $10,000; and he paid his “website guy” Derek Strassle a total of $200 and some free steroids in exchange for setting up a website for the steroid business. If Root had pitched his steroid business to “shark” investors on a hypothetical Shark Tank (Black Market Edition), the investors would have been impressed. However, federal prosecutors weren’t so impressed with Root’s business acumen. In fact, they used it against him. Federal prosecutors used Root’s alleged stinginess with his employees as ammunition in court documents. In part due to these reasons, federal prosecutors recommended that Root go to prison for 70-87 months. Paul Battisti, a defense attorney represented Root, had asked that his client be spared prison and be given a sentence of home confinement. United States District Judge Thomas McAvoy agreed with prosecutors. He sentenced Root to 78 months in prison. Meanwhile, Mycustomprotein.com continues to operate. A portion of the proceeds generated by the company will likely help Root pay off his $2.5 million forfeiture obligation to the government.